All-new fleet. Airline pilot owned. P6 is the exclusive Cirrus Training Center at KCDW, featuring a modern fleet of 2018/2019 G6 Perspective+ aircraft. As a pilot, you will benefit greatly from the advanced safety features and professional-grade avionics, adding another layer of depth to your flight training experience. 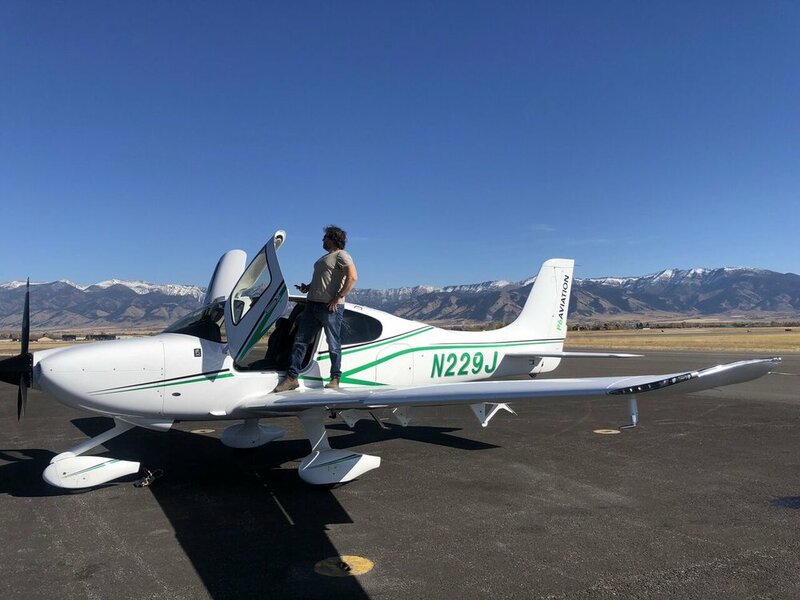 Both the SR20 and SR22 are utilized for primary and advanced flight training, making it the only aircraft that you’ll ever need en route to becoming a pilot. We bring our experience as airline pilots and flight instructors to bear, as you immerse yourself as a student pilot and absorb the experience of flying in the NE. Learning to fly in a Cirrus is an incredibly rewarding way to become a pilot. While you focus on business and family, our #1 concern is ensuring that flying is a smooth experience for our clients. While we cannot control all factors in aviation, we can absolutely control a clean, well-maintained aircraft. As aircraft owners and operators, we provide consultation when the time arrives to purchase new or pre-owned, with deep knowledge of the costs, tax implications and potential revenue models available to aircraft owners. Cirrus Aircraft are built for long-distance flying. Using them as our platform, we believe strongly that the best way to learn how to fly is to immerse yourself in it. Go deep, go hard and push yourself to attain the knowledge and understanding to thrive as a pilot. Do not stop learning at the basics and do not “learn to pass a test”. Learn how to realistically operate in the air traffic control system. Challenge yourself while you’re with an instructor, so that you can feel comfortable doing almost anything when you’re flying alone. We’re acquiring new aircraft for you to fly. Thanks for being interested.